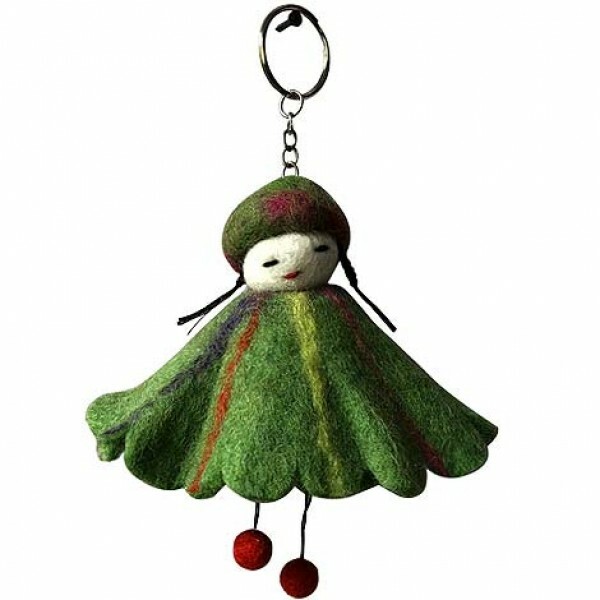 Doll shape felted woolen key ring. 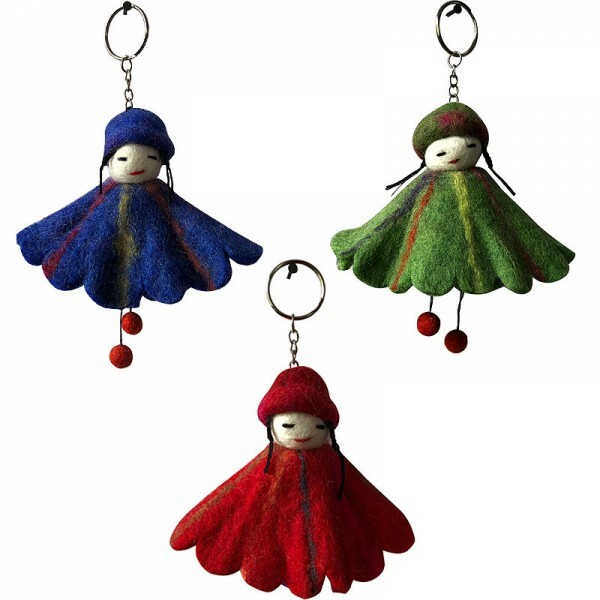 These key rings are offered in assorted color. Since the product is handmade, there can be slight variation in the given measurement.